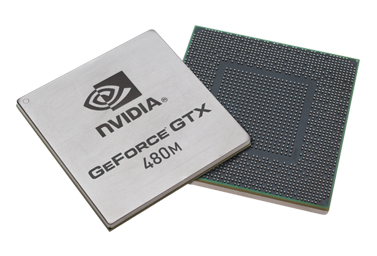 Today Nvidia introduced the new GeForce GTX 480M GPU for Notebooks its a Fermi-architecture based on the GeForce GTX 480M mobile GPU for laptops. 425 MHz core clock DirectX 11-supporting graphics interface circuit 352 CUDA that effective 850 MHz clock frequency. GDDR5 memories with 256-bit memory interface and act as an extension of 600 MHz clock rate. First, this is DirectX 11 done right for notebooks. Tessellation is the most important new feature for the DirectX 11 API, and the GeForce GTX 480M is a true tessellation monster for the notebook platform. It offers a dedicated Tessellation engine for up to 5x more performance than any other GPU. Second, with the power of the GeForce GTX 480M GPUs, notebook manufacturers can set new records for notebook performance. Put simply: If a notebook maker wants to build the fastest possible system on the planet, they will start with GeForce GTX 480M as its foundation. Third, we’ve now brought the vaunted Fermi architecture to notebooks. GeForce GTX 480M delivers nearly three times more NVIDIA CUDA cores over previous generation Notebook GPUs, which means users get unbelievably fast video transcoding, upscaling from standard definition to high definition and real-time movie clean-up with the click of a button. And finally, the GeForce GTX 480M not only delivers the world’s best gaming frame rates, it also gives added features that no other GPU offers, including NVIDIA 3D Vision technology for an immersive gaming experience, NVIDIA PhysX technology that brings games to life with dynamic, interactive environments and NVIDIA Verde Notebook Drivers for the most up-to-date performance from your notebook.